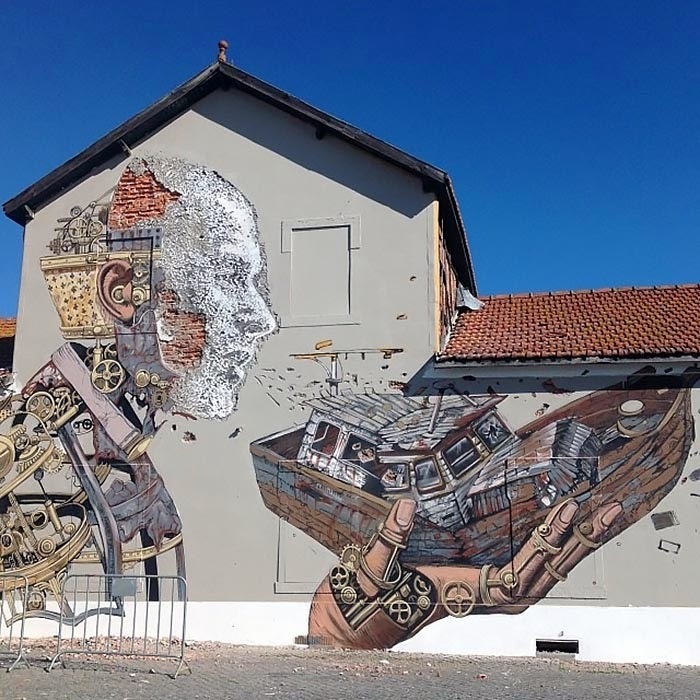 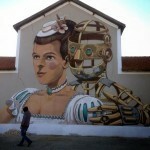 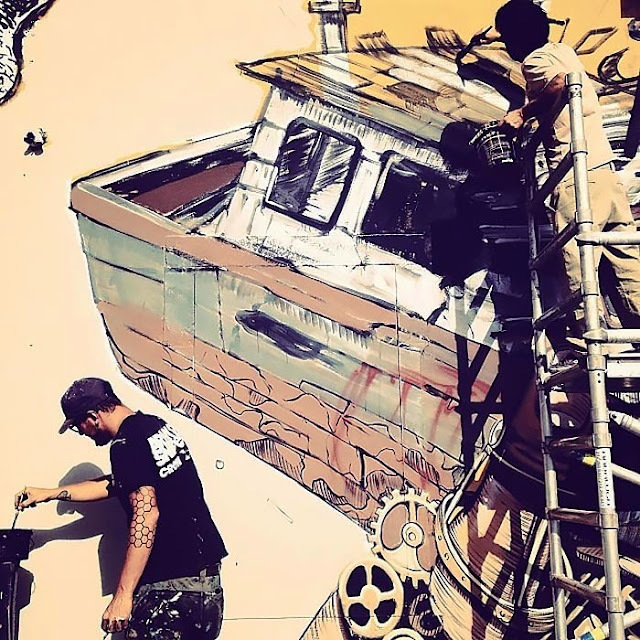 After a massive piece last week (covered), Pixel Pancho is still in Lisbon, Portugal where he spent the last four days working on this new piece with Vhils. 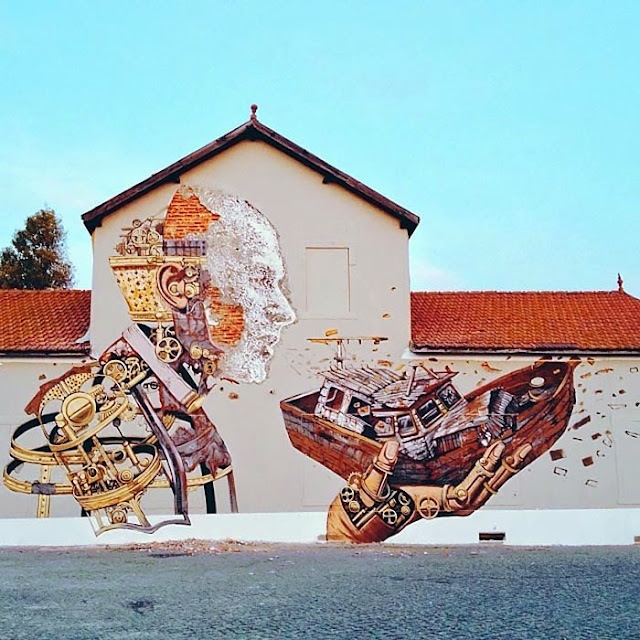 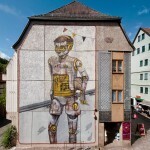 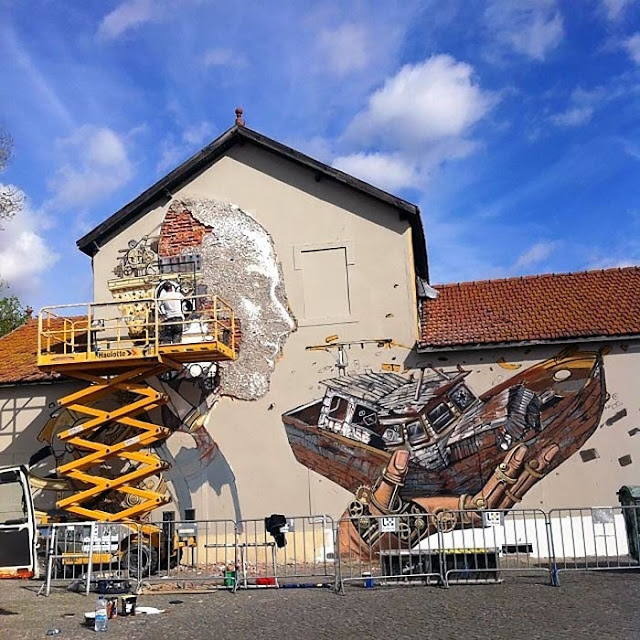 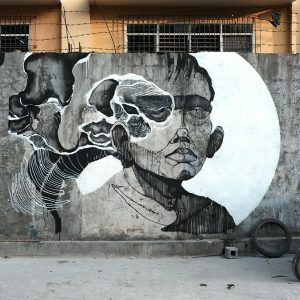 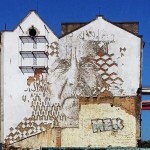 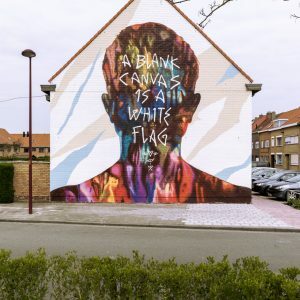 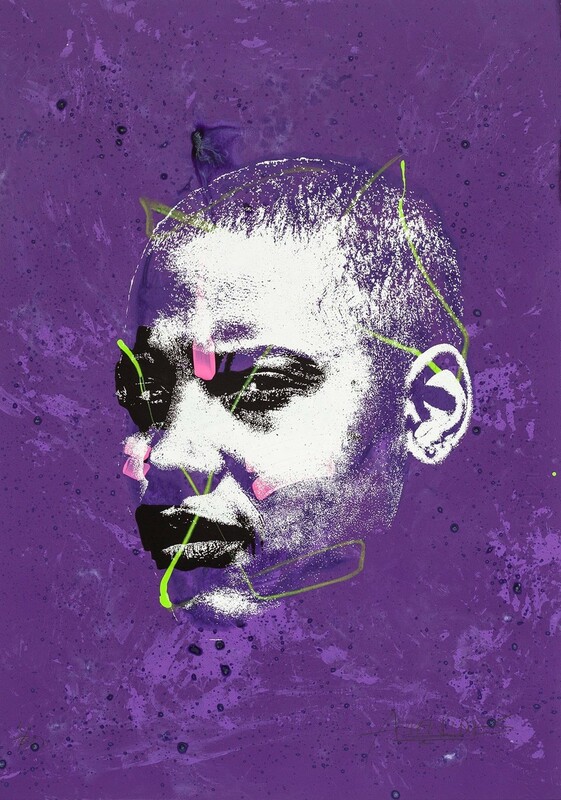 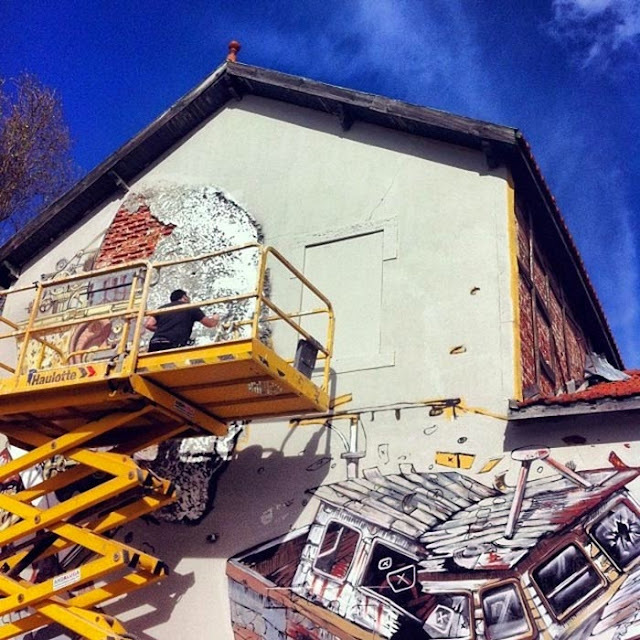 Invited by UnderDogs, the globe-trotting Italian street artist brought some of his signature robotic imagery to one of Vhils’ chiseled portraits. 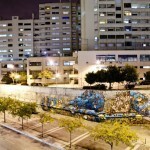 You’ll be able to see the piece in more photos after the jump, then if you stop by Lisbon, the piece is located close to the Restaurante Jardim Do Marisco.